That F'ing Monkey: Who You Gonna Call? 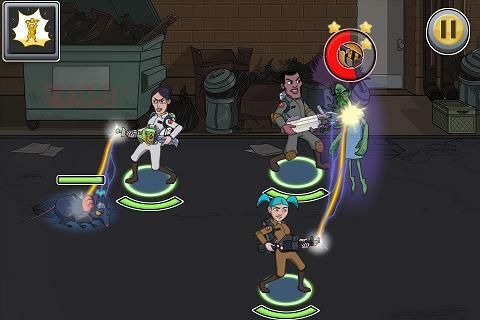 The Ghost Busters are now on your phone in a freemium game by Beeline games. The game just came out yesterday and since it is free to play it was pretty much an instant download for me. I’ve gotten through the tutorial and sent my ghost busting team out on a handful of missions; now it’s time to share that information with you. The game consists of 4 different areas. The Firehouse is where you do all your item research, buying equipment, putting your team together, etc. The game’s store announces that furniture is coming soon, so it looks like you’ll be able to decorate your firehouse also. From there you have a city map. This is where you can see the available jobs, the firehouse, and the main dungeon of the game, a towering building with a vortex over it. That main building will have slime barriers at the end of each floor. 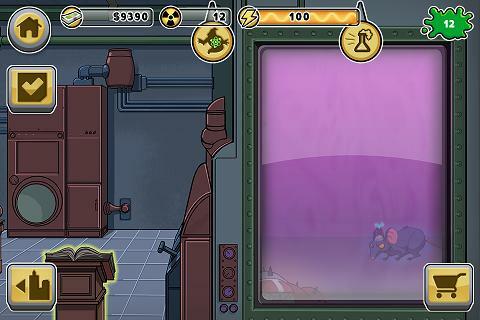 Collecting enough slime on other calls will let you move to the next floor and advance the story. The attention to detail is fantastic. When you capture a new type of ghost you’ll see it randomly floating through the containment unit. You’re calling the shots for a group of new recruits. The original Ghost Busters are recruitable, but get ready to drop some real money if you want one. That is of course how they make money on these games, you will have an energy bar and you can only do so much before having to let it recharge. Your Ghost Busters are divided into three groups. You pretty much have a Medic, a Tank, and a Striker. Each of these carry different equipment and gain power up abilities that help them do their job. Sadly for me the combat is where the game starts to fall apart for me. Tap and drag to move your character. 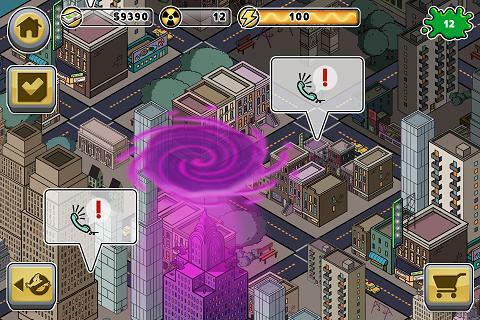 Tap and drag to the ghost for that character to shoot the ghost. Most of the time I do this the character walks up to the ghost and shoots it instead of staying at a distance. Most the ghosts rush into hand to hand combat anyway. This may be different on a bigger screen, but I’m on an iPhone and not an iPad. Is the game for you? The game is free, download it for yourself and give it a try. I’ll probably keep it installed to see what kind of updates are coming but I doubt I’ll spend too much time with it. This looks promising! Is it only on iphone? Michael, I don't have access to an Android or Windows phone. Beeline's site currently has Ghost Busters listed as Ios only.